We are very proud to introduce this wonderful Maine Ceiling Light. 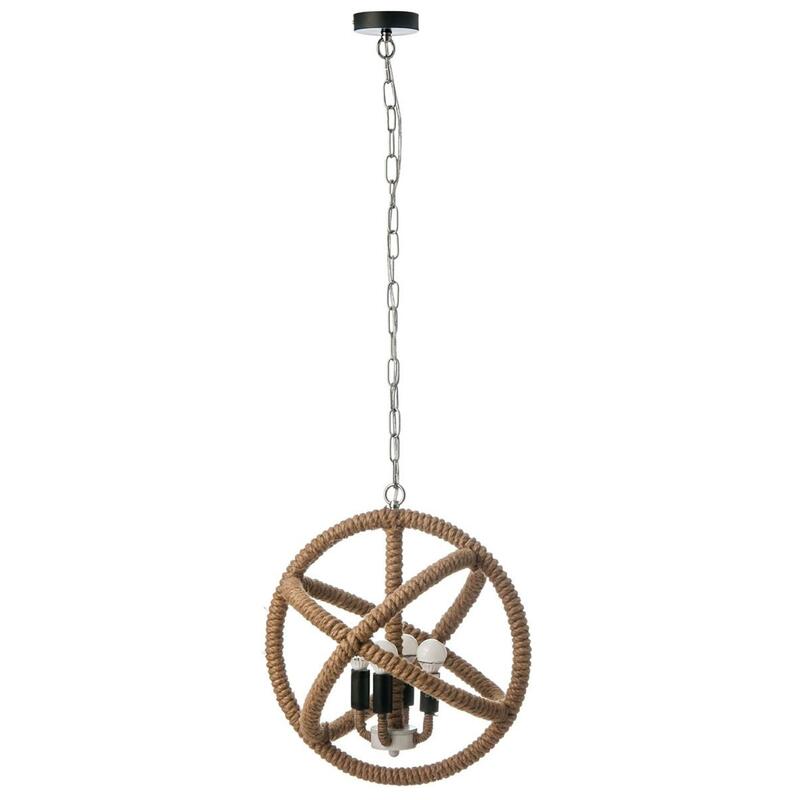 This ceiling light has a very unique design that'll be sure to impress, whilst also creating an industrial yet homely style in any room. The contrast of the metal chain and rope frame makes this piece look even more eye-catching. The unique design on the rope frame will also create a very interesting focal point.